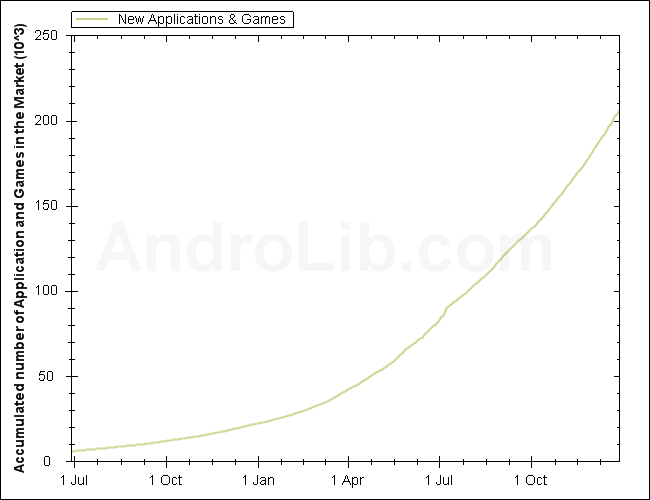 Almost 2 months ago to the day, the Android team announced that the market had officially hit 100,000 apps and according to AndroLib, we have now doubled that. Obviously these numbers are unofficial and likely a little bloated, but you have to like the sounds of it. Anything to give the platform some good press right? 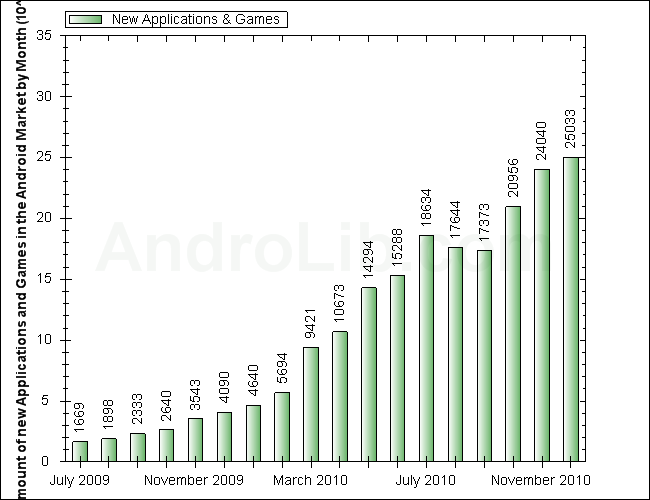 They’ve also released a report for new applications submissions that shows a continued increase month-over-month. While we saw a little drop off for new apps in the summer months, we’re back to record numbers during the winter. Over 25,000 new fart apps were released last month alone…we’re kidding of course, but how many of those 25,000 do any of us know or care about? We’ve had a ton of incredible games come out, but what the heck are the rest of them? 1. Angry Birds Seasons was fun, but is now done for. 2. BattMonX is great for Droid X users. 3. Dolphin Mini is a nice and light browser alternative. 4. Google TV Remote is fantastic for battling your significant other. 5. Jet Car Stunts has stolen many hours from my life. 6. Light Grid live wallpaper has changed the game. 7. Google Reader finally landed. And there you have it. What apps are you guys crushing on?